Easy Steer Technology Let's You Steer, Turn, and Aerate Without Raising The Tines Out Of The Ground. Thirty Tines Spread Over 26.5" To Produce An Aeration Rate Of Nearly 40,000 Square Feet Per Hour. 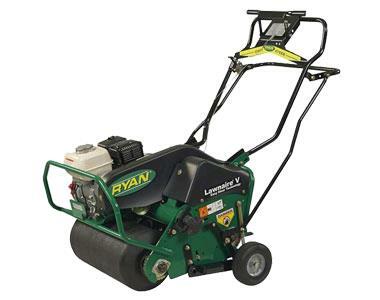 * Please call us for any questions on our aerator 26.5 inch ryan ez steer lawnaire v rentals in Portland OR, Gresham OR, Milwaukee OR, and surrounding metro area.